Made popular in the 50’s, and has recently made resurgence in fashion, now you can enhance your home or office decor with this classic design. Containing diamonds in a diagonal checkerboard arrangement but more commonly refers to the overall pattern. Most argyle layouts contain layers of overlapping motifs, adding a sense of three-dimensionality, movement, and texture. Unconventional functionality! 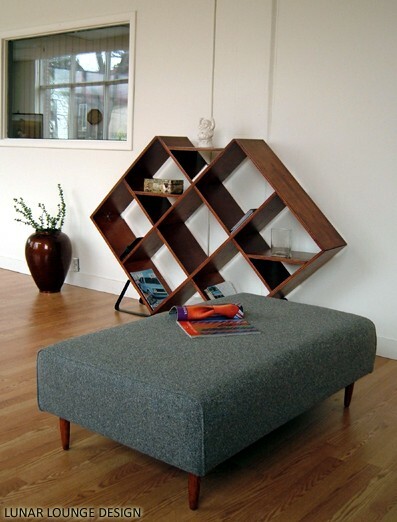 Suits the atmosphere of any surrounding interlocking pieces increase strength and add stylish detail1” flat steel painted legs give the shelving unit additional support and detail you require. 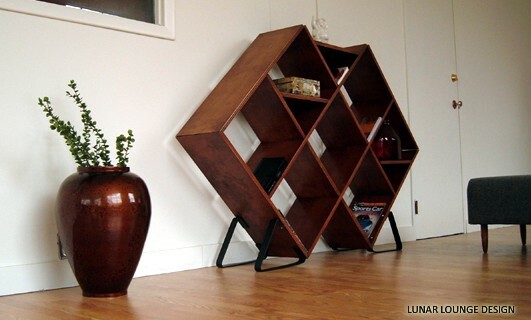 Movable shelves allow you to display your favorite items and add versatility in your storage uses. 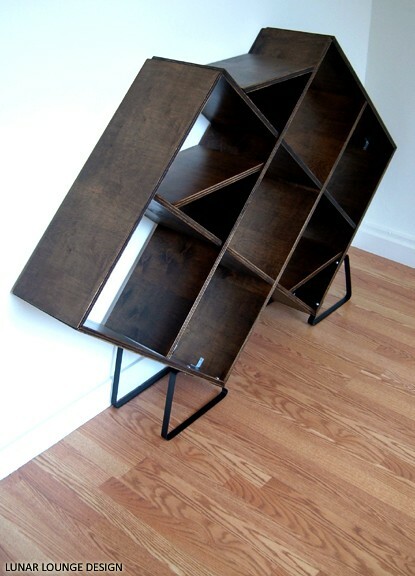 Designed to serve many uses such as: a storage unit for Books/Magazines, CD/LP/DVDs, Art/Ornaments, Wine/spirits, Document filing system OR as a room divider to provide detail and direction allowing privacy in your room. 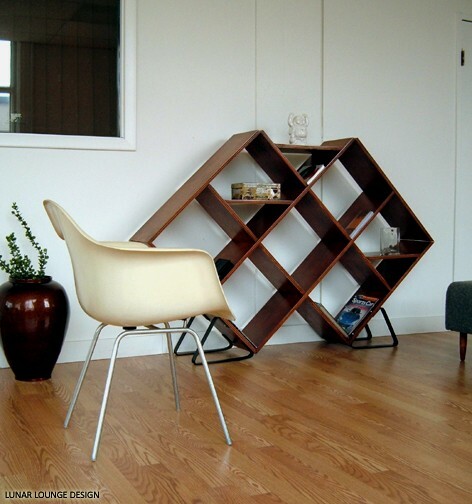 This designs captivating style will blend seamlessly with the rest of your mid century furniture pieces.